Jockey Jevian Toledo. Photo by The Racing Biz. 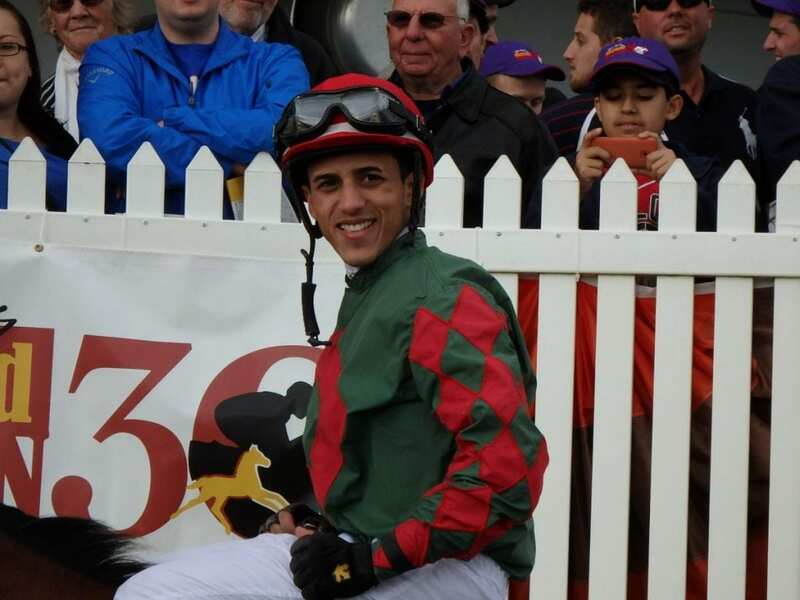 Jevian Toledo, the leading rider in Maryland with 144 wins in 2017, will be sidelined indefinitely following a spill during training hours Sunday morning at Laurel Park. Toledo, 23, was transported to Howard County Hospital in Columbia, Md. complaining of back and leg pain after going down when a horse he was exercising fell. Toledo’s agent, Marty Leonard, said subsequent X-rays revealed compression fractures of T7 and T8 vertebrae in his middle back as well as a collapsed lung. Leonard said Toledo was waiting to be transferred to University of Maryland Medical Center’s Shock Trauma unit Sunday afternoon for precautionary reasons. A native of Caguas, Puerto Rico, Toledo topped all jockeys in Maryland with purse earnings of $4,564,961 in 2017, leading Laurel’s calendar year-ending fall meet with 61 wins and $1.8 million in purses. Toledo was also Maryland’s leading rider in 2015 and ranked second in 2016, and owns four individual meet titles.